Every few days, I see another story. They’re always the same. [Insert Company Name Here] chooses [North Carolina/City Name] over [other state/country] for latest expansion. It’s not just the headlines that are the same. The substance of the story never changes much, either. First, there’s a long list of all the great things the company will bring — jobs, higher salaries, the general salvation of a particular economic sector. Then there’s glowing praise for North Carolina workers, for the talent that’s drawn the company to the state, for all the great advantages that North Carolina offers to a business looking to locate. The picture it paints is beautiful. But then comes the kicker, the reason I’m always filled with dread when I see these headlines. Because, almost inevitably, the story ends with a list of the grants and tax breaks and incentive payments the company has received from the state and local governments as part of the deal to locate here. We’re not talking about small change. In just the Q3 of 2017, the state gave away more than $1 million in OneNC Grants. That program has given away nearly $88 million since it started in 1993, and every one of those state dollars requires a local match, so the actual amount is much higher. In 2016, the state awarded almost $70 million in Job Development Investment Grants. Overall, in the past 10 years the state has awarded more than $1.5 billion in various economic development grants. Of course, the stories always say the company is really here for the talent, the quality of life, the business environment, the proximity to mountains and beaches, or whatever. 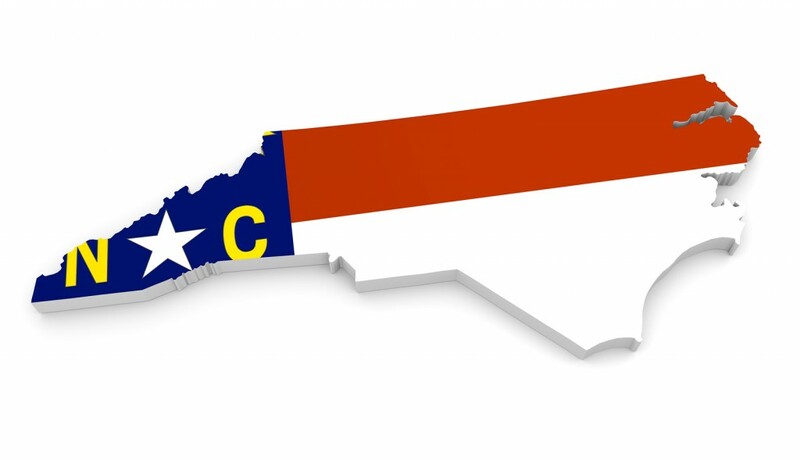 The very same politicians handing out taxpayer money will talk at length about what a wonderful place North Carolina is to do business, how attractive its talent pool is, how we can compete with anyone in the world. I’ll admit that working in politics and public policy for 15 years has made me cynical. But these articles always strike me as a bit disingenuous. If politicians really believe so strongly in North Carolina, then why do they feel like they have to sweeten the deal by handing out huge sums of taxpayer money? You only do that if you don’t really believe your product is attractive enough on its own. Of course, there’s a reason for this. It’s hard work to actually make a place so much more attractive than the cities and states around it people will come here without any cash. (It gets harder, incidentally, every time we hand out more tax breaks and incentives, making companies expect we’ll continue to do so.) It requires things like lowering tax rates, and not just a tiny fraction. Lower tax rates meaningfully, and you won’t have to give massive incentive payments. Instead, companies will realize that their bottom lines benefit from those lower rates and they’ll want to take advantage of them. And the beauty is that, rather than having to play this game and try to lure people, you can create an environment where companies come to you. It’s why I’m constantly seeing advertisements for Ford and Toyota and BMW, complete with cash back and special financing, essentially buyer “incentives.” Because I could easily buy Chevy or Honda or Mercedes instead. Those car dealers have to lure me in. But you never see a commercial for Ferrari. You just want one. And if you decide to buy it, you go to them. They don’t have to stoop to advertising. The product sells itself. When you do go to buy that car, there will be no cash back. In fact, if you buy it new, you’ll sign a contract agreeing not to resell the vehicle for a couple of years as a condition of the privilege of being allowed to buy the car. And you’ll sign happily, because the product is just that good. It’s why Gordon Ramsay restaurants don’t pop up on Groupon, and why Louis Vuitton doesn’t have sales or outlets. They’re luxury brands. They don’t need to offer incentives to make you want them. North Carolina has the makings of a luxury brand. We have excellent universities producing top talent that would be an asset to any company. We have smart, creative, hard-working people, and a low cost of living, high quality of life. The weather is mild, we have sea ports and international airports, we’re a short flight from Europe, and we’re well-connected to the Eastern U.S.
Not only that, but we’re consistently ranked among the best states in which to do business. Forbes ranked us No. 1 in 2017. We could be even better. Lower tax rates for all businesses, lighten the regulatory burden, and provide good infrastructure. Stop offering incentives that send the implicit message that North Carolina isn’t good enough on its own merits, that it needs to offer sweeteners. Instead, make North Carolina hands down the best place in the country to do business, and let companies come to us. North Carolina really can be that good. It’s time for politicians to stop selling us short.